AJL has created “Hanukkah Read Up!,” a list of Hanukkah books for children recommended by the Sydney Taylor Book Award committee. 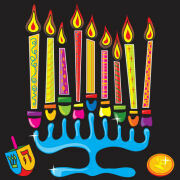 The colorful 2-page flyer is available on the AJL website at http://tinyurl.com/AJLhanukkah. All the titles on the list have been recognized by the award committee as gold or silver medalists or as “Notable Books.” A special section is devoted to the Hanukkah works of prolific author Eric A. Kimmel, a past Sydney Taylor Body-of-Work Award winner. The list should prove interesting and useful for families seeking Hanukkah titles for their children, to read together or buy as gifts, as well as for librarians who wish to purchase titles for their holiday shelves. 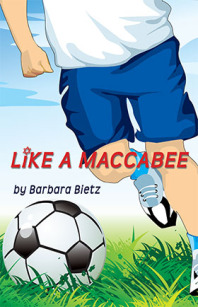 Hanukkah starts early this year - it's time to think about holiday books to share with the children in your life. One of my favorites is Hanukkah Hop! by Erica Silverman, illustrated by Stephen D'Amico. Hanukkah Hop! celebrates the delight of Hanukkah through a rousing family party filled with be-bop music. The playful, rhyming text, along with the retro feel of the illustrations, will have readers young and old snapping and clapping along. 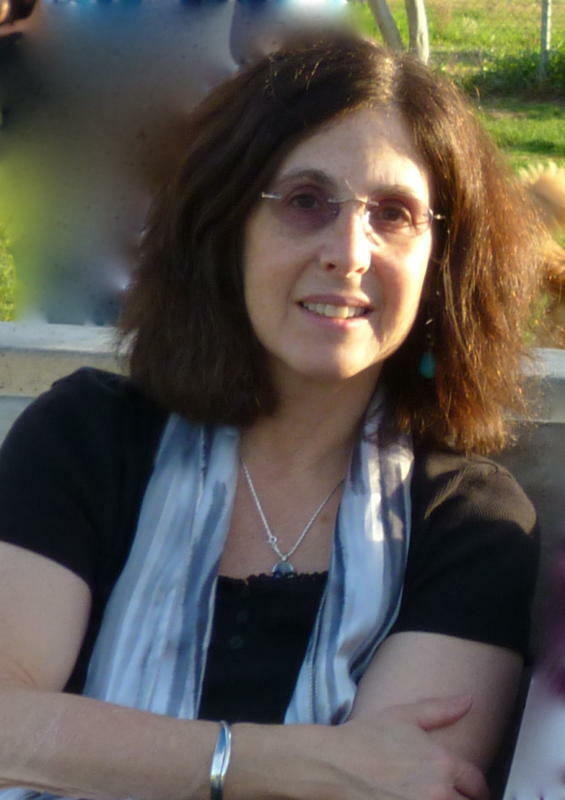 Erica Silverman is the award winning author of numerous books for children, and a personal favorite of mine. 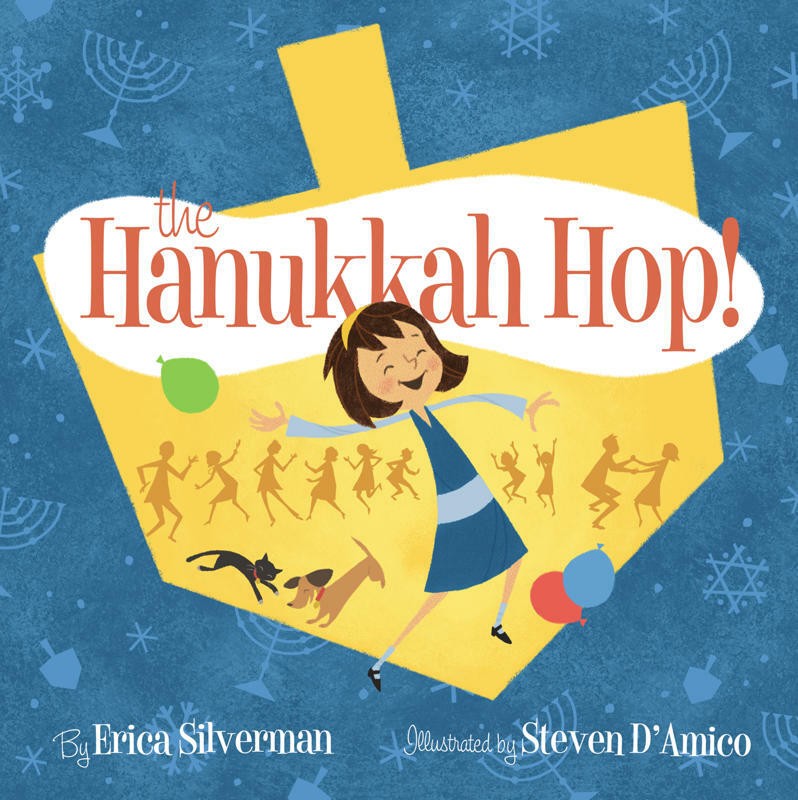 I couldn't wait to share Erica's thoughts about Hanukkah Hop! Hanukkah Hop! is a joyful, rhythmic celebration. Do you have a musical background that inspired the jazzy text? Thank you, Barbara! My musical background, such as it is, consisted of plunking away at piano lessons as a child - something I enjoyed, but did not excel at. I’ve always enjoyed listening to all kinds of music; classical and jazz are particular favorites. I loved listening to Yiddish music with my grandmother, and I'm tickled over the international resurgence in recent years of Klezmer music, which I wanted to honor in Hanukkah Hop. 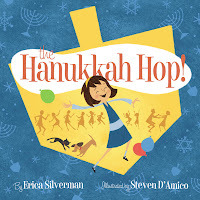 But really I have to say that it’s the musicality of language - letters, words, phrases, sentences - that draws me to writing picture books like Hanukkah Hop. I remember reciting nursery rhymes out loud for my parents when I was very, very young - before I could even read. Later I discovered how the sounds and rhythms of a poem can have emotional impact. The amazing ability of language to sing still makes my heart beat faster. The illustrations in Hanukkah Hop! are such a perfect pairing for the story. What was your response when you first saw Steven D’Amico’s work? I was absolutely thrilled. From the moment I knew Steve was the artist, I was happy with the choice. But I had no idea how perfect he would be. I love his retro style, the humor, the movement, the colors...everything! There are so many delicious details. Most of all, Steve's art so perfectly captures the joy I was reaching for with language. The characters pop off the page, and best of all, each one of this large party seem so individual and so real. I’d love to invite them all to my next party. And his Klezmer players are adorable! I have such fun reading this book out loud and sharing the art with children. Have you ever hosted a real Hanukkah Hop? Well, actually, my Hanukkah celebrations have been typically food oriented. I’ve hosted my share of latke parties. But last year when my book launched, the Skirball museum hosted a Hanukkah Hop. They invited a couple of klezmer bands and there was a group called Family Dance Jam which, with movement teacher Ilaan Egeland Mazzini, led all of us in these really rhythmic raucous dance activities. They were fabulous! And of course, I read the book to a couple of groups of children. I’m happy to say I had them all swaying, snapping and bim bim bopping with me. It was wonderfully fun. I do hope Hanukkah Hops catch on. What’s the best thing about writing books for children? That’s such a hard question to answer, Barbara - as I'm sure you know. There are so many aspects of this work that make me happy. I love the process of writing. It’s so engaging, so challenging. It’s the most difficult thing I’ve ever done and the most satisfying - when it works! The absorption of writing itself keeps me going through the hard times (like not being able to get a story right or the rejections from publishers - ouch!). Another thing I love is the community of writers, artists, teachers, librarians and others who loiter in the children's lit world. So much support and sharing. The best people!!! Perhaps the best “best” thing is when a child tells me he or she likes something I’ve written. There’s nothing more deeply rewarding than knowing that my words have touched a child, gotten her or him excited about reading, and maybe even writing. We take books into our hearts so fully when we're young. And when I hear from a parent who says her son or daughter has had a reading breakthrough because of one of my books, it just fills me with joy. I once was told about a girl who took a book of mine to bed with her every night and put it under her pillow. What could be better than that?